Order affordable 9 x 12 professional folders in quantities of 10 or more. These luxurious folders are printed in full color on 12 or 14 Pt. cover with high gloss UV coating and include business card slits on two pockets. A professional printed folder provides valuable space to organize and distribute information to clients, customers, sales prospects and more. They can include marketing materials, sales literature, business presentation, direct mailing, project management, trade show kits, portfolio samples, and promotional press kits. Use these folders to improve your business communication. Make A Professional Presentation of Your Products And Services. Increase credibility and promote your identity with our pocket folder templates. Build your corporate image and brand by using full color printed graphics, logos, and photos. Every Business and Professional Needs and Uses Pocket Folders. Printed pocket folders are the voice for your company, school or organization and demonstrates your brand and personality to prospects and clients. 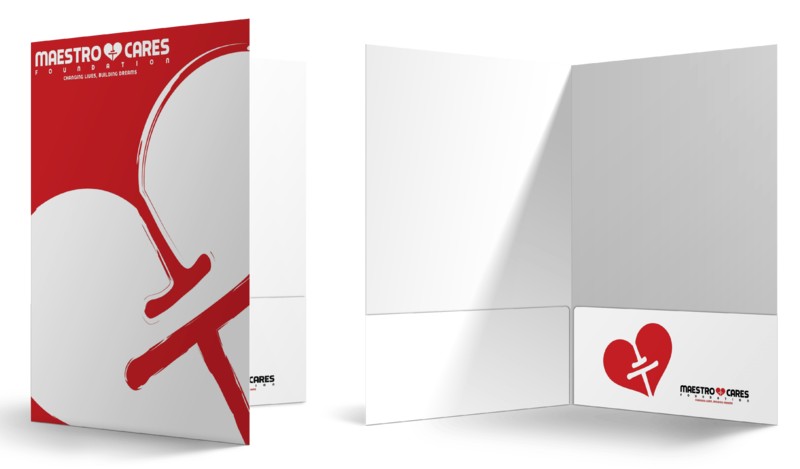 Branding, sales, and client relationships can be simplified and strengthened by using business pocket folders. Create a 9x12 - 2 Pocket Standard Presentation Folder with our free online photo design tool. Use our FREE Downloadable Templates to make sure you get all the file requirements and specs correct the first time..